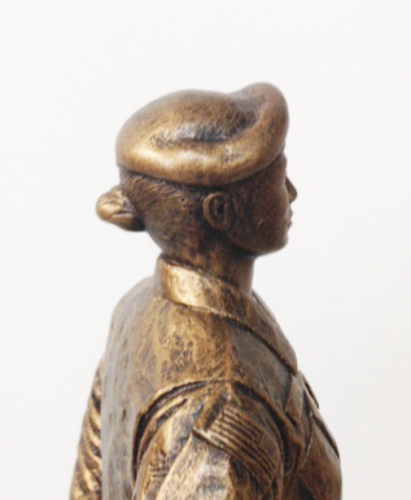 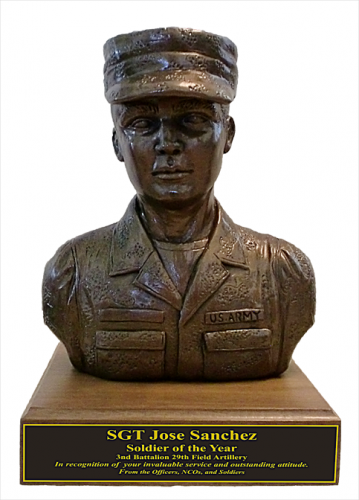 Our Military Statues and Military Figures are unique military gifts to honor men or women serving in our armed forces, including Army statues, Marine Corp statues, Air Force statues, Navy statues, and Air and Army National Guard statues and military reserve statues. 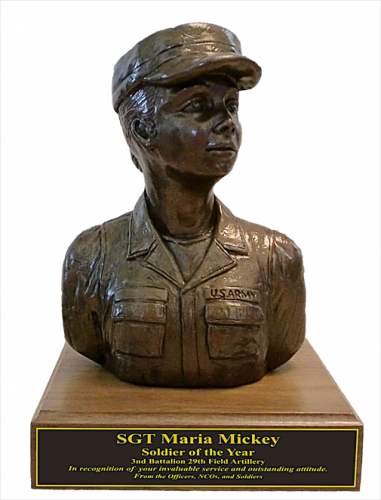 Both male military statues and female military statues are available. 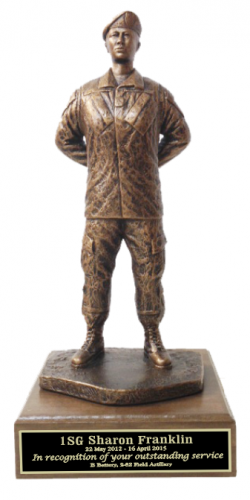 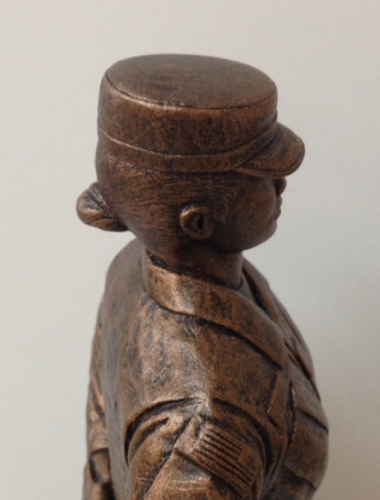 Military Statues are appropriate for PCS Gifts, Farewell Gifts, Change of Command, ROTC or military academy graduation gifts, Medic Statues, Nurse and Doctor Gifts, or Military Retirement Gifts. 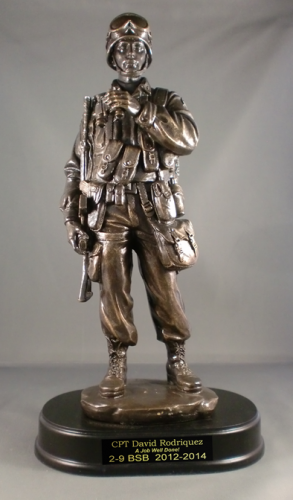 Featured military statues include: Ordnance Bomb Statue, Mission Ready Statue, Women in Arms Statue, Command Sergeant Major Statue, First Sergeant Statue, Combat Medic Statues, Navy Corpsman Statues, Ol' Bill Statue, Air Force Security Force statues. 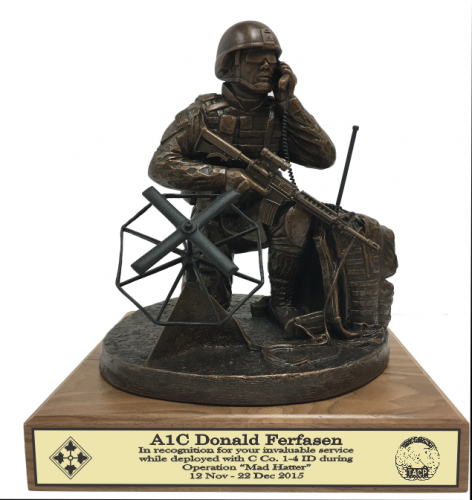 We can to customize our displays and bases to meet your individual needs. 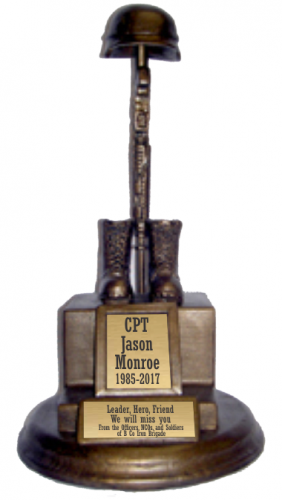 Our ability to produce full color insignia, crests and ranks, along with custom engraving allows you to give a personalized military gift. 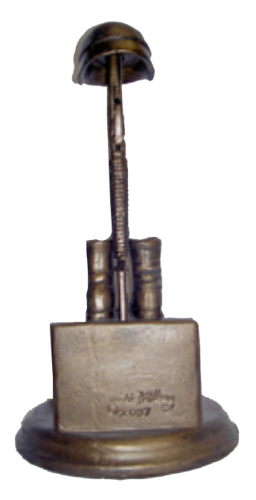 Production lead time for this product is 21 days. 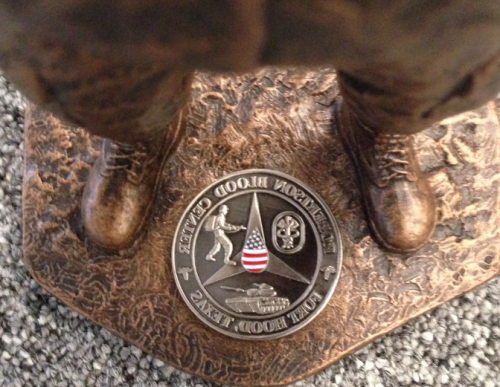 You may mount up to a 2" coin between the statues feet, shown in smaller picture. 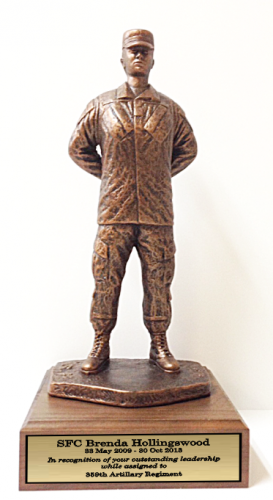 Soldier with Binoculars Statue 14"
The "Communicator" Statue is 12" tall standing on a massive 10" x 10" Solid Walnut Base. 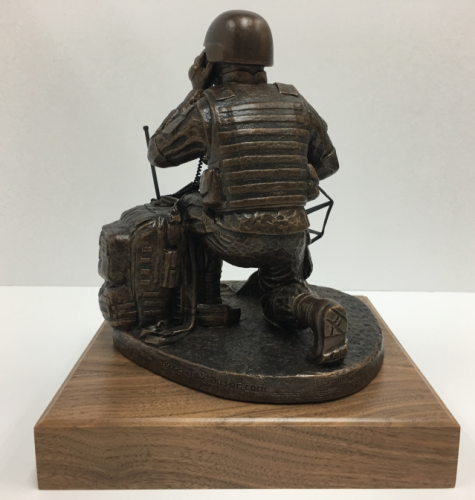 The statue presents the use of a ground based portable antenna communications system. 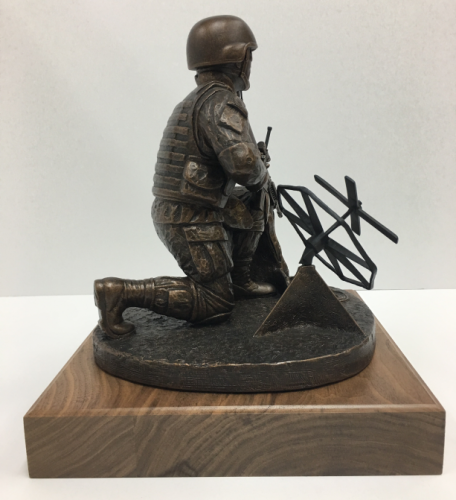 A great gift for an Air Force ROMAD, a member of an Air Force TACP Team, a Marine communications specialist or an Army Soldier. 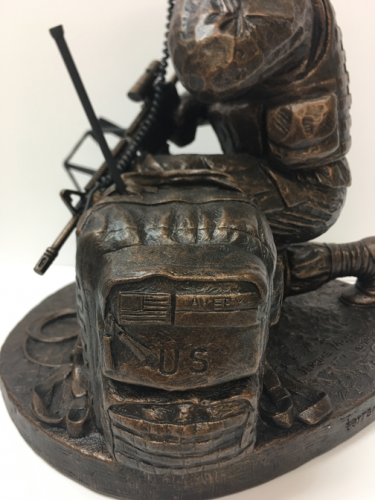 (Please note: Another statue, Stock #TPP352ARM is made specafically for the Army with "Army"printed in the pack) Lots of details!! 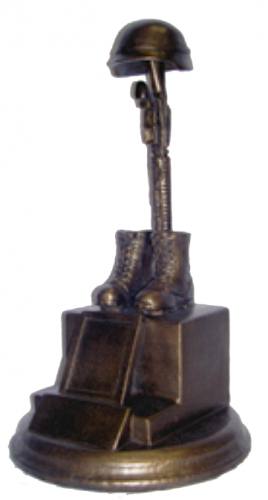 The Soldier's Cross statue stands 12" tall with 2 engraving plates.